Father-and-son team John and Chris Eberhart have joined once again to share cutting-edge information and advice on hunting whitetail bucks in increasingly hard-hunted environments. Their year-long program starts early in the off-season, where careful scouting, training, and planning create the foundation for a successful hunting year. Then, once the fall rolls around, the authors explain the scent control and scouting tactics that have helped them to bag trophy bucks in some of the most pressured parts of the country. They also cover hunting in the rain, suburban hunting, and various other special situations. 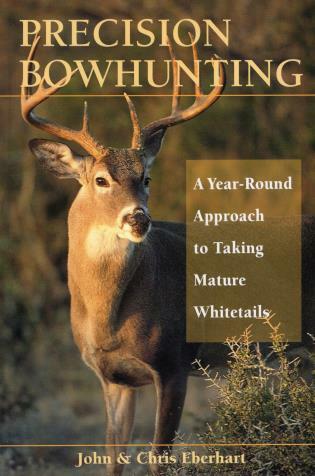 Packed with vital information and fresh insights, Precision Bowhunting belongs on the bookshelf of every serious bowhunter. John Eberhart is an experienced whitetail deer hunter from the heavily hunted state of Michigan, where he has twenty-one state record bucks. His articles have appeared in Deer & Deer Hunting, Woods-n-Water, and Michigan Out-of-Doors. Visit www.eberhartsbowhunting.com. Chris Eberhart is a lifelong bowhunter and author of numerous hunting articles. Visit www.eberhartsbowhunting.com.